I was recently out with a friend when he showed me some of his work on Flickr. What immediately struck me (other than how good his work was) is that he was adding a border in Photoshop. This comprised a simple, narrow black Keyline around the edge of the image and then a wider white border. This simple technique really added impact and his images looked much better on Flickr than they otherwise would. At this point, as any good photographer would, I have borrowed the technique for my own work and I thought I would share it here. Take your finished image and if you have any layers, flatten the image. You can do this by selecting “Layer | Flatten” from the menu. Now resize the image by selecting “Image | Image size…” from the menu. For my purposes I want to keep the images around 1500 pixels on the longest edge. With the image resized, press “Ctrl + A” on the keyboard (Command + A on a Mac). This selects the whole of the image. You can then add a Keyline around the image by selecting “Edit | Stroke…” from the Photoshop menu. 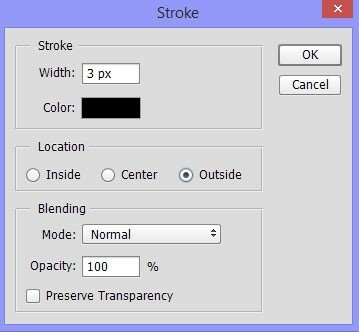 This will display a dialog box where you can select the colour and width of the stroke line. My personal settings are to add a black stroke line 3 pixels wide but you might prefer different settings. Next resize the background canvas to create the white border. 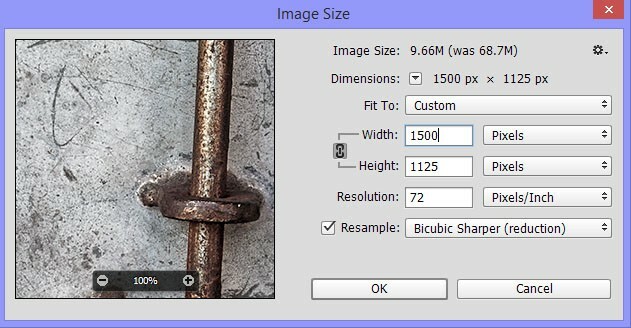 To do this select “Image Canvas size…” from the Photoshop menu. 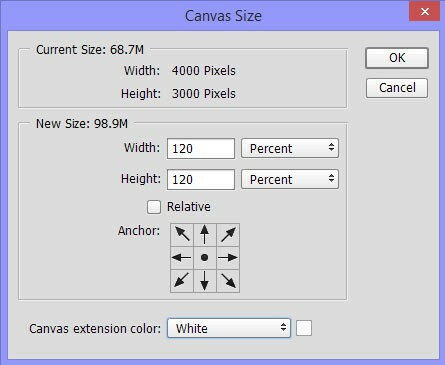 This will display the canvas size dialog as shown below. In the dialog select the “Percent” increase to the canvas. 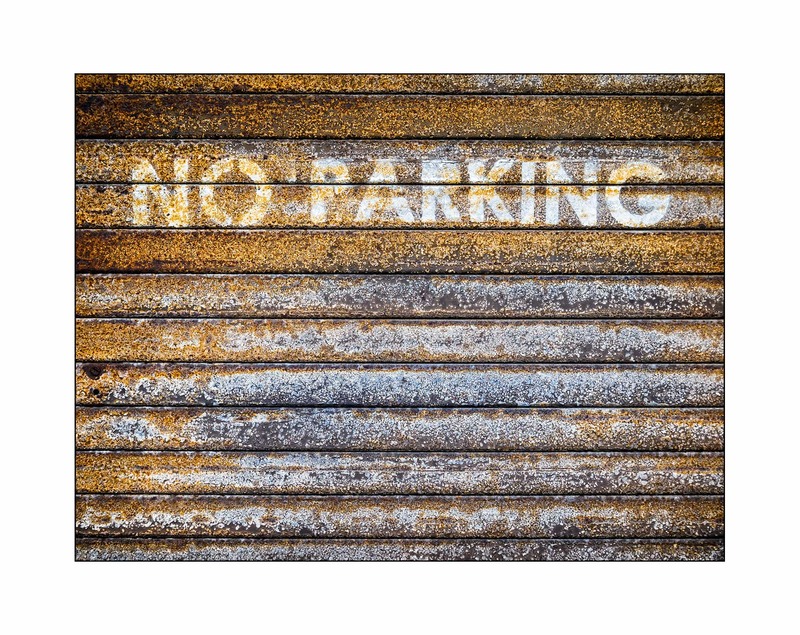 In this example 120 percent has been used but you may prefer a different border size. Also ensure the “Anchor” point is placed in the centre square of the grid as can be seen in the illustration. This ensures the canvas area will extend out equally from the centre on all sides. Finally set the “Canvas extension color” to “White” as this will become the large border surrounding the image. A large white border is good for Flickr as the Flickr interface has a dark background but for some websites you might need to pick a different colour for the border. Once the settings are entered click the OK button and you will see the new white border is added. You can then save your new image as a JPEG ready for upload to Flickr of similar photo sharing website. Whilst the border is very easy to add, it’s also very repetitive and I don’t want to waste valuable time. A simple solution is to record a Photoshop Action which can run against any finished images to prepare it for Flickr. In actual fact it will probably need two actions, one for horizontal format images and another for images with a vertical format. If you're not familiar with using Photoshop Actions please read my tutorial How to Use Photoshop Actions. It's surprisingly easy and a great time saver. Is it possible to do the same using Lightroom? I like the look but do not really want to have to fire up Photoshop for this. Yes you can. I will describe how to do the same in Lightroom shortly. Thanks. I guess I shouldn’t be lazy and pull out the books and read up on it. The problem with books is that you might not know what you are looking for and could waste a lot of time without finding the answer. It’s always good to ask. Very useful indeed! Thank you very much.